Extra Large. 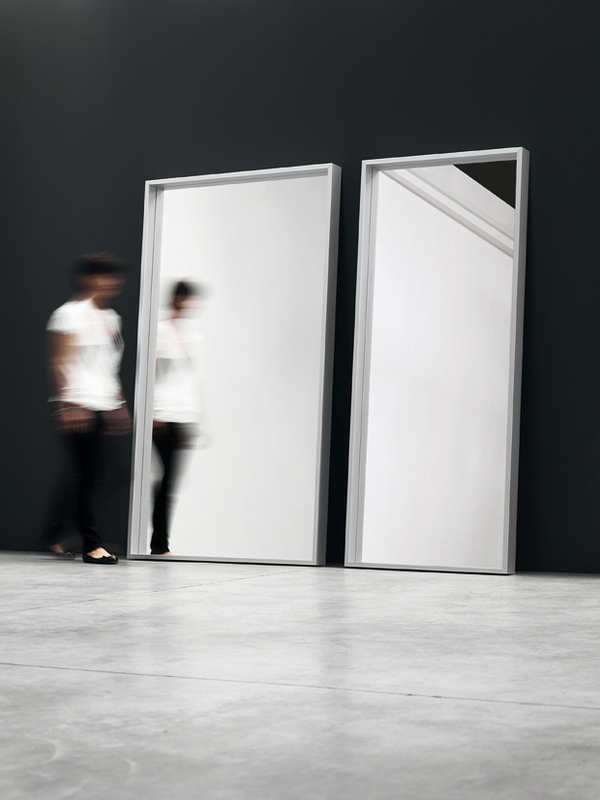 Kristalia presents these large rectangular mirrors, which can be positioned horizontally or vertically to add more depth, charm and light to home areas, commercial areas and contract furnishing areas. 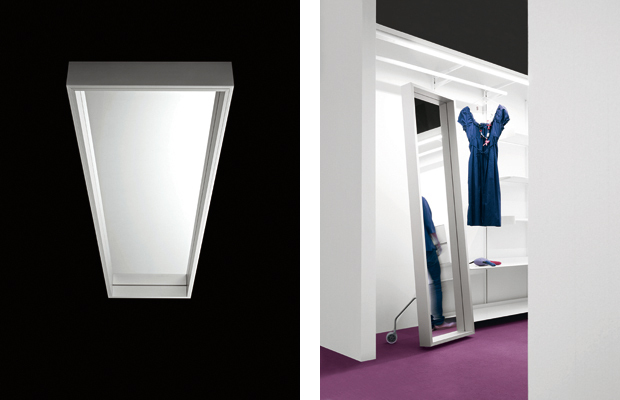 Its large mirror surface is recessed in relation to its simple geometric frame in drawn anodized aluminium, providing an additional perspective effect. 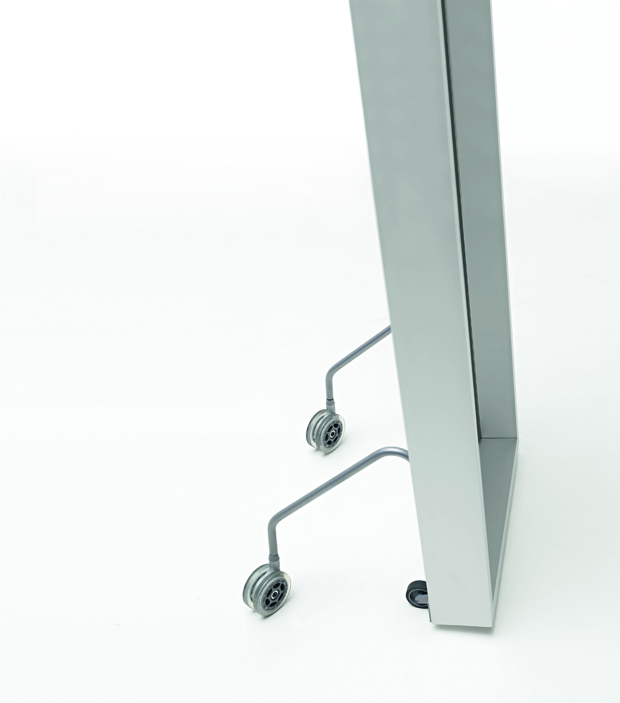 The free-standing version on castors is ideal for continuous use, in a wide range of spaces in the home or in a showroom.